A recent study indicated that 62% of millennials and 35% of generation X’s take advantage of work at home programs. This is based on programs offered by companies around the US. Only 3% of baby boomers on the other hand take advantage of these work at home opportunities. 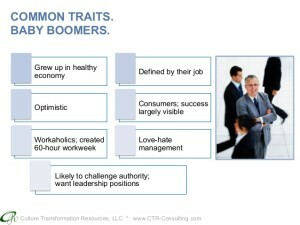 Turns out that there is a big difference in the mind-set of baby boomers as compared to their younger counterparts. Admittedly not every job is conducive to working at home. For example while sales people can spend part of the day working from a home office they also need to get out and visit customers. Mechanics and service industry personnel also need to be at their place of work for obvious reasons. Companies that can set workers up with a work station and depend on information workers to get the job done are far more adept at setting up work at home situations. But even when the opportunity exists, many baby boomers dislike working from home and would rather go into the office. There are a variety of reasons for this attitude and they also vary with the individual. Social Interaction is important for many, because they live to work rather than work to live which defines the major difference between the various groups. Seniority and position in the company also defines whether you can work at home or must go to the office. Baby boomers tend to be older and in more senior positions. Career aspiration is another element that can distinguish a person. 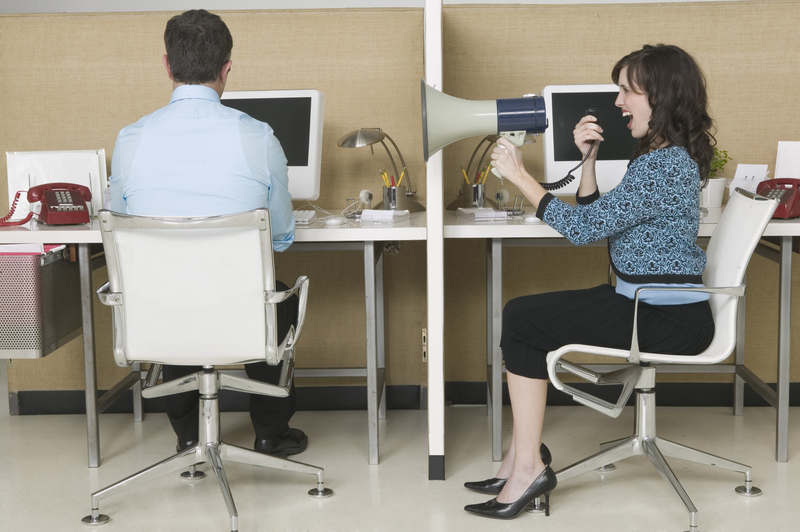 Those that want to be promoted tend to go into the office where they can be seen and heard. Working from home provides far less opportunity in this regard. Work tends to define the older baby boomer and they identify with the job and their success. They are working to be successful rather than working to earn a living that they can enjoy other elements in life. Let us know if you agree with these concepts or if there are other elements that factor into whether people in various groups prefer to work at home. Whether it is an oil change or a new loan or mortgage always ask for a discount. Lots of times you will receive a discount just because you asked for one , with no questions asked. Why not try and save money when you are making purchases. This is a perfect way to stretch your income and make it last longer. No one ever has so much money that they never have enough. There is always something more that you want to have and why not. So when you can save a few dollars or thousands of dollars, why not?Some people suggest that you should only focus on the large savings and forget the small stuff. I suggest that you should focus on the big stuff, but also on the items that are really frequent. Over time you can save thousands of dollars as well which goes straight to your wallet. The first example was when I was having an oil change for my car. I asked if they gave senior discounts or discounts for triple A members. Without hesitating the parts manager offered me $10 off the price! Now this includes an oil change, a 100 point checkup and a car wash for $31! What a good deal and I got this discount because I asked! There was no coupon or anything like that. It just goes to prove that you should always ask for a discount. Remember that the worst that can happen is that they say sorry, no discount. The second example was when I was negotiating a new mortgage . I was already to sign the documents and I hesitated, put the pen down, looked the lender in the eye and asked if he could give me a discount. To my surprise he said yes and took another half percent off the interest rate, which saved me hundreds of dollars over the life of the mortgage! We travel a great deal and stay in hotels all of the time. 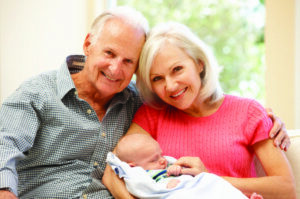 We routinely receive discounts for carrying a AAA card as well as being seniors. In addition occasionally there is some problem with the room we stay in and the hotel is usually more than willing to provide a discount to compensate you for any inconvenience that you may have had. One time the air conditioner in the room was literally freezing up with ice. It was low on coolant so we just shut it off. In the morning we mentioned this to the clerk that they should really get it fixed before renting out that particular hotel room to another guest. Without even asking, the gave us the room for free. Now that is a discount. Always ask, they might say no, but lots of times they say OK! We have noticed recently that many people just pay whatever the asking price is for something. They never really try to negotiate or ask for discounts. Some people will only negotiate on the large items and don’t bother with less expensive items. Always try to negotiate whenever you can, always ask for discounts. Any money you save is money in your pocket. Which can be used for other expenses including trips and dining out with the family. Expensive items that are negotiated and result in saving 10% of your cost means that there is a lot more money in your account. You might save hundreds or even thousands of dollars. Yes this is some thing you should definitely focus on whenever you are buying something like a car, a home, or large appliances. But what about things that you may buy more often? Can you save money on the purchase of your TV service, your telephone service or your internet service? You get these bills every month. If you can reduce the bill by even $25 a month, this can add up fast over the years. The latest example was when I was having an oil change for my car. Based on the mileage I put on my car, I have to change the oil every couple of months. Since I believe in always asking for a discount, knowing the worst thing that will happen to me is that they could say no, I asked if they gave senior discounts or discounts for triple A members. Without hesitating the parts manager offered me $10 off the price! Just like that with no hesitation or counter offer. I did not even have a coupon to offer. All I did was ask him if there were any discounts and he gave it to me. Now $10 is not a lot, but it does pay for many other things that I need to buy and based on my oil changing habits, I save about $40 a year on oil changes. Now this includes an oil change, a 100 point checkup and a car wash for $31! What a good deal and I got this discount because I asked! There was no coupon or anything like that. It just goes to prove that you should always ask for a discount, the worst that can happen is that they say sorry, no discount. Lots of times they offer some reduction which keeps money in your pocket and makes a loyal customer! Even if they charge me the full price next time I will be going back to this garage because of the service and the features that were included in the oil change. The car needed to be cleaned inside and out. To have someone do it for me, it would have cost me $18 somewhere else. The 100 point checkup is pretty standard, but not all places give you a full report like this with even the tire tread depth and the brake width measurements provided. Not only do they give you peace of mind, you know when you need to spend some money on things like tires and brakes. So bottom line is always ask for a discount. The worst thing that might happen is that they say no and apologize when they do that. 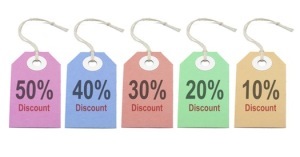 The very best thing that will happen when you ask for a discount is that they will offer you a discount, a future coupon for something, or a free gift of some sort. 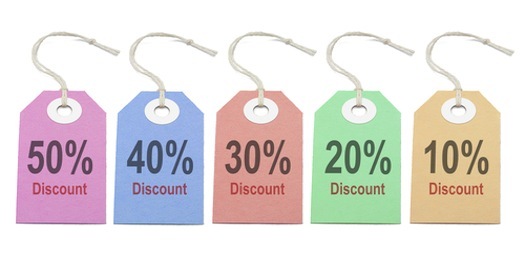 Many companies are getting really creative as far as discounts are concerned. You never know what will be offered, so the best idea is to always ask and see where it takes you. Rich Grandparents, Poor grandparents: What to do? Help! What do you do when your children’s in-laws are well off and shower them and the grand children with gifts? As a grandparent, you would like to spend time with your kids and grand kids. You want to provide them with some of the things you know they will like. Kids are young and immature. Sometimes they just do not understand when someone gives them something they really think they want and is expensive vs. something that is a lot less interesting and a lot less expensive. How do you compete with rich grandparents? We think that the answer is that you do not compete in showering gifts on to the kids. We think that you can make a far stronger relationship with your kids and your grand kids by being there to help them when they need help. Grandparents come in all shapes and sizes some with money and some without money. They all have many strengths and weaknesses. We have found that what is important to little children is much different as they become older. In fact we noticed that with our grandchild it really does not matter just how rich a grandparent is. In fact what matters is the amount of attention that you pay to them. How you treat them that really counts. You can give all of the gifts you want and pay for lots of things. But what it really comes down to is the quality time you spend with your kids and grand kids. We think that whether you are poor grandparents or rich grandparents it really does not matter. It is the amount of quality time that you spend with them that counts. Even little children can tell when you are not paying attention or just tolerating them. When they see that you genuinely like spending time with them and love them, it really does not matter how much many things you give them. They know that you care and will gravitate towards you any time that you are around. This is what’s so great about being a grandparent, regardless of whether you are rich or not. The other thing to remember is that it is not always a competition. In fact it should not be a competition at all between grandparents. Spoiling the child with all kinds of gifts is not going to teach them other than you can be counted on for expensive gifts. Would you rather be counted on to be at their hockey games, their sports activities or their plays or whatever things that they are in? They will naturally gravitate to you and be more comfortable being around you. You will have more time to bond with them and they will appreciate this and just be comfortable around you. Kids are not stupid. They quickly pick up on who gives them gifts and who spends time with them and who is there when something is needed by them. Whether it is a ride to the store, an ice cream cone or just a phone call, the kids know the difference between someone who is there for them vs. someone who showers them with gifts and then leaves. Our bottom line is do not worry about the rich grandparents, focus more on being there for your kids and making sure they have time to get to know you and bond with you. Babysit, go to their games and be involved in their lives is the best way to show that you care. There is a fine line though, were you must not try to replace your kids roles as parents. Let them fill the parent role and you fill the grand parent role and everything will be fine. I have been writing a lot of material for a customer of mine about loans, mortgages, interest rates, and the impact that credit ratings have on what people pay of these financial items and whether they can even get a loan due to their credit rating. Mortgages and credit ratings play a huge part in everyone’s life, so why not write about this subject. It is time to write a general post about all of these issues here on my blog since it has such a huge impact on our personal life, our quality of life and even our jobs. If it was not for the economic downturn that took place in 2008, we all would be writing about something else, because presumably life would be rosy, right. We think the answer is wrong, since it really comes down to personal accountability and whether you can pay your monthly bills or not, whether you can borrow money for a new car or a home or just put food on the table. 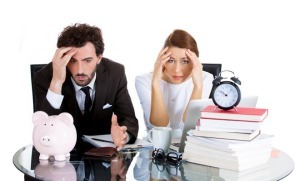 You are going to have a bad credit rating if you do not pay your bills on time all of the time. There are literally thousands of articles out there on the net talking about this subject in various forms. This simple post summarizes it all and boils it down to a few simple lines which if followed will vastly improve your life style over time. Too many people , especially the young want to have everything now. When kids get married today, they have the house, the car, the fancy clothes and the furniture to go with it. They also have a huge debt to go with all of that it is pretty tough for them because they are living paycheck to pay check. A friend of mind said a few days ago, there are many people in our neighborhood that are “two pay checks away from bankruptcy”. Scary but so true. If you lose your job you lose your home, your car and much more. When we grew up we had to do without until we could afford it. As we saved and made enough money, then we began to add the homes , the furniture and the cars along with the fancy trips. If only the people in Canada and the US had followed this approach, perhaps the entire depression which started in 2008 would not have happened or at least have not been as bad as it was! Have you ever been in this position? A group of you go to the restaurant to have a nice meal and the restaurant does not want to give you individual bills? This has happened to us on several occasions and it really bugs me when this happens. There are so many issues with this situation and invariably someone leaves being upset, because the bill does not get divided up properly. Dividing up group restaurant bills can be contentious. We have encountered this situation several times, once in a foreign country and another in the US, with different outcomes and both had situations were people who are supposed friend got taken advantage of. Restaurant wants to charge a 15% to 20% tip automatically regardless of service. We have seen this happened and often the service is not even good. In fact it can be down right bad if a server or waitress gets flustered. Some people do not leave enough to cover their share. Either because they are cheap or because they just made a mistake. There can be a lot of frustration in this situation on both sides. If there is a dispute with the restaurant or between patrons, how do you resolve it. Who goes away upset. You can be sure that the restaurant will get what they feel they deserve, otherwise they just call the police. This example was a combination of a bad waitress and some unethical people. The waitress only kept a tally of what everyone ordered. So for example if our group ordered 5 salads she recorded 5 salads and not who ordered them. The same approach was used for all of the other items as well. When it came time to pay, we told the waitress what we had ordered. She ticked the number off and the person paid their share. Well when the last person came a long there were items ordered but not ticked off which they had not had. The waitress and the restaurant wanted to be paid or they were calling the police. Of course the members of our group had all scattered. It was left up to the last person to pay up. Moral of the story is never let yourself get into this situation in the first place and never be the last one to pay. A second example happened to us recently. There was a group of 11 of us, each person ordering something different with no clear decision on how we were going to pay at the end. For example divide equally or figure out what each owed at the end. One guy even said to me we will likely divide equally so don’t go cheap. He was implying that we would not get our money’s worth. We ended up figuring out what each person owed, however some people left early without seeing the bill and not knowing what the tax was and the tip was. This is a situation were the tip was automatic at 18% , not 10% or 15%. the service we received as not worth 10%, but who is going to argue when you are part of a large group? So did the people who left early leave enough? No one really knows. We ended up being $20 short so two couples just through in $10 each with a look of frustration on their faces. We think it is easy to avoid, it just takes a bit of planning, organization and negotiation. 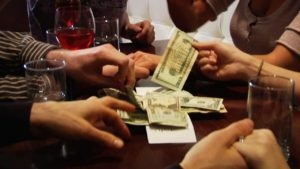 Organization – it is hard to organize a group, but someone needs to ask before you get into the restaurant, how everyone intends to pay for their meal. Split equally or calculate individually. Planning – Bring a pen to use to do the calculations, ask for the bill before anyone leaves, make sure you have everyone’s money before they leave and a clear description of what everyone ordered. Negotiation – If you are concerned about the tip, the auto inclusion of the tip, negotiate with the restaurant ahead of time for individual bills, or a fixed % for the tip. If you are a group of 10 or more the restaurant does not want to turn away potentially a large income from a group like that so they will negotiate and they will make sure they give you good service. It takes someone to lead the group and do the negotiation. If you have comments on our post, please feel free to add them. If you have had this experience or something similar , leave a comment for our readers to learn from. There is so much junk content available that it is tough sometimes to really know what is real and what is not real when you are looking at a page. 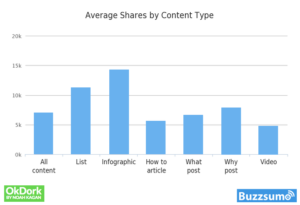 We thought about this and decided to write a short blog about all of the different types of content just for fun. It is our opinion only and you may not agree with it or you may feel that we missed some different types. There is no order of importance or priority other than the supposed real stuff or non fiction is at the top and junk is at the bottom. Other than that there is no real order to this material. We have grouped a lot of stuff into major categories, so let us know if we have missed a few or have lumped some together that should not be. Comments that are constructive are always welcome. While this list may not be complete, it represents the vast sphere of information that you can fine online. There is a dangerous trend among the content generation business. This is the generation of content for the sole reason of attracting readers to click on advertisements. Some of this content is good stuff, but most is not in that they provide no value to the reader other than perhaps taking them to an advertisement that would give you some value. This site you are reading is an example of a site that attempts to provide real content that can be useful to the reader. However this site depends on ad revenue to survive. In this case it is much like the news magazines or the self help magazines of the older days. They sold their copies for a small price. But really depended on the advertising revenue to exist. Same situation here, except that this site is free to the user to read and browse, even leave comments. The internet if nothing else is extremely competitive and an example of market forces at work. If you do not have good content over the long run, you will not do well and you must compete with a legion of people all over the world who are also generating great content as well as terrible content. Google, Yahoo,Bing and other search engines are the levelers in the market. They are working hard to deliver real results when you do a search using their engines. No one wants to be delivered junk search results. The search engines are getting better a filtering the good stuff from the bad stuff and over time I think that real good content will win out over bad content that is not only poorly written, but does not contain any real value to the customer. We also find that the search engines are updating their algorithm on a regular basis which will change the search results. Like all experiments, sometimes it is for the better and sometimes not. This is why our blog is hard to find right now. We hope the next search engine release will do a better job. Lets hope this is true. If you have comments on these ideas or would like to see others discussed, please leave us a comment and well will be glad to add to them our blog. We decided to write about this subject on our blog. Since it is likely to impact all of us sooner or later. 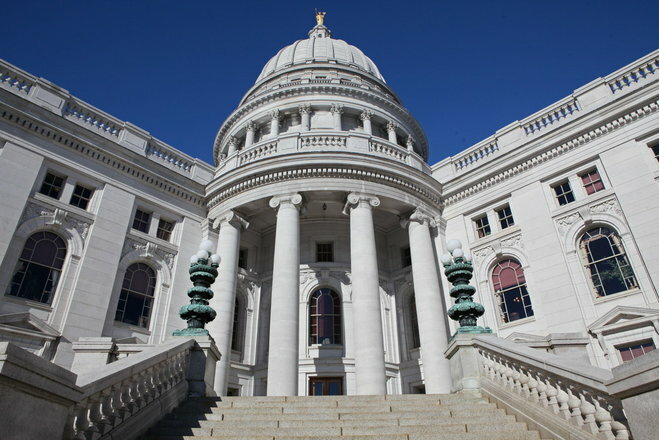 Many of the states are in a severe budget crisis, including the state of Wisconsin. Wisconsin Balancing Their Budget hit the news recently. Now we are certainly not experts in this field. However the governor of Wisconsin is telling us he has a significant shortfall between the money coming in and the money going out. Then it is time to sit up and listen. There have been many posts recently talking about other states as well that have the same problem. Especially California who it has been said is broke. The solutions are pretty simple, although very difficult to implement as seen by the current news items covering Wisconsin. What are the solutions? Only the US government can print money, the states are not allowed to print money of any kind, so their options are more limited than the US government. The solutions above are no different than they would be for your personal situation if you were faced with not enough money to pay your bills. It has to come from somewhere. Let’s take a look at each and see what the pitfalls are. The state is no different than you or I. If you borrow money, you have to pay it back sometime and you must pay interest on the money your borrow. Borrowing money just increases your problem and really over the long term can make the situation much worse. At some point the state will not be able to borrow any more since lenders may consider them a bad risk. Same as you or I trying to borrow money from a bank. If you cannot show that you will be able to repay the loan, they will stop lending to you. Right now, Wisconsin is in the news because this is exactly what they are trying to do. Unfortunately the unions are viewing this as an attack on them along with their members, because they will have to give up some of the gains they have received in past years. Roll backs in wage increases, benefits removed etc are all on the table. Obviously they are upset, but then the people in the private sector do not have a lot of sympathy. This is exactly what they went through in the past two years with lost jobs and salary cuts. Wage decreases, layoffs and new hire reductions are probably on the way for many state employees in the state of Wisconsin! Taxes are going to go up! Not just state taxes, but every area were the state collects money from residents. Traffic tickets and fines, tourism taxes, income taxes, property taxes, downloading to municipalities, entry fees to state parks and on and on. We have seen this in other countries, notably Canada, and it will come to this in the state of Wisconsin as well. The state simply must generate more funds to use to pay its bills. The reality is that the State of Wisconsin and likely most if not all of the other states will have to do the same thing. California recently has already doubled traffic ticket fines and there is a lot more to come. The big question is whether they can cut expenses enough, raise taxes and borrow enough money to see them threw this current crisis? It does not help when government employees are demonstrating, however if these steps are not taken, they are going to lose their jobs in a big way, because the state will have no alternative, but to lay them off and then services to the general population are going to suffer big time. We are going to write more about this subject, however if you have comments about this subject, feel free to leave your comments. Please keep them constructive and too the point. Setting up a small business is an extremely challenging thing to do and most people have to work with limited budgets as well as limited help from friends and family. So how do they do it and become successful? The frank answer is that like the lottery there are many winners, but there are also many businesses that fail as well. Some make it because they have the right product at the right time and are very focused on their business. Others do all of these things, yet they fail because cash flow got the better of them in a down market. Cash is king. As long as there is enough cash around, most businesses will survive. The following list are areas to pay attention to, however they need to be customized for your personal situation and business that you are in the process of setting up. There are many more, however these are some of the main issues you need to consider. 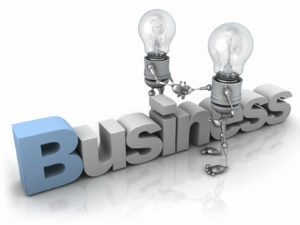 Above all use common sense and consider every decision carefully prior to proceeding with your small business. Cash is king and never forget this. If you do not have cash you cannot pay your employees and your suppliers. They in addition to the banks will shut you down before you know what happened to you. Hard work is all important along with long hours. You are going to have to put everything into your business in order to make it a success. Combine this with smarts. Working hard without doing it intelligently is just not going to cut it. Surround yourself with excellent people who can make a major contribution to your success. You will have to reward them as you become successful in order to keep them motivated, but then if you are making money why not. Incorporating and making sure all your legal documents are in place is also important. A good lawyer and bank manager will help you set this up. You will be able to protect your personal assets from any legal issue that may arise. Although we really should have mentioned this at the beginning, it is never too late to focus on the customer. Providing superior customer service is an absolute must and if word gets around about your great service it is actually better than any possible advertising. The reverse is also true if your service is not up to par. Remember the comment about getting good employees! They must embrace the same notion about providing excellent customer service at all times. Hire professionals for the areas that are not core to your business success. For example, you need to pay your employees, pay your taxes and complete your annual tax filing. Doing it yourself may save you the fee’s but it will take a lot of time and you may not even get it right, leaving thousands of dollars on the table for the taxman. Hire an accountant to do this work for you and focus on making your business successful. Next to excellent service to your customers is excellent quality products for your customers. If you do not provide products that are of great value, reliable and meet your customers needs, your going to have a tough time. It does not matter whether it is cars or widgets, they must exceed your customers expectations! These are just a few of the basics and you might wonder why this post is on a legal type of site. Lawyers are part of making your business successful and we felt that all of these other ideas might just help you as well to make your small business a success.